I wish I had some wider apothecary jars to I could recreate this apothecary Christmas village of Rebekah's. My husband loves Christmas villages and I love excuses to buy new apothecary jars. It is a match made in heaven. And even if you don't do a village worth. Just one looks like a great snow globe. 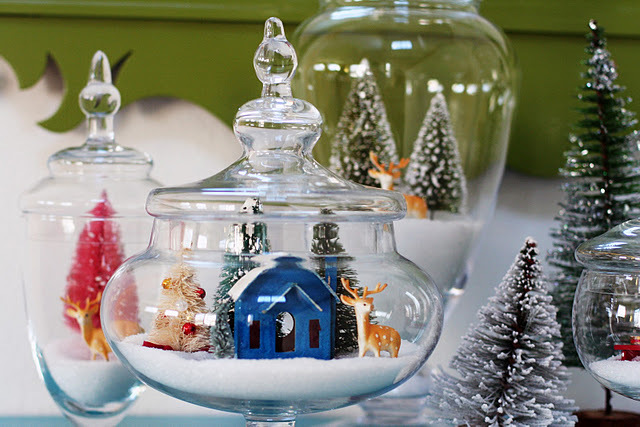 You can check out all of the beautiful Christmas apothecary jars over at A Bit of Sunshine.